COHA will soon be releasing a series of articles analyzing different aspects of Brazil’s foreign policy. To access recent publications by COHA researchers on these Brazilian-related analyses, please scroll down to the bottom of this article. The fifth annual BRICS summit began today Tuesday, March 26, in Durban, South Africa. While it is unlikely that a high profile declaration or initiative will be agreed upon by the five member states, this gathering will provide Brazil with the opportunity to strengthen its ties with a number of other global powers. Following the election of President Dilma Rousseff (who succeeded the popular President Lula da Silva), Brasilia is aggressively enhancing its image to move itself somewhat more proximate to global status. This has been exemplified by its desire to be awarded a permanent seat in the United Nations Security Council (UNSC). Moreover, Brasilia’s attempts to mediate between Iran and the West over Tehran’s controversial nuclear program can be regarded as an attempt by the Brazilian government to utilize its diplomatic clout outside the Western Hemisphere. While reform of the UNSC is unlikely to occur anytime soon, the ongoing BRICS (Brazil, Russia, India, China, and South Africa) summit will, at the very least, give more of a pedigree to Brazil as a rising global player. Such credentials will only increase if Brazil is to host the proposed BRICS development bank. This would be seen as a victory for the Rousseff administration, though probably not as high profile as the inauguration of Argentine Cardinal Jorge Bergoglio as the first ever non-European Pope. The term BRIC (sans South Africa) was first coined by the renowned economist Jim O’Neill of Goldman Sachs in a 2001 report entitled “Build Better Global Economic BRICs.”  At the time, BRIC states were regarded as a quartet of global powers that were believed to be the future axis of the world’s economy. This labeling enhanced Brazil’s international credentials, placing it in the same category with countries like China and Russia (both are nuclear powers that have permanent seats in the UNSC). Nevertheless, Brazil still has not managed to achieve what is arguably its ultimate diplomatic objective—to see the UNSC reform achieved and for Brazil to become a permanent member in the body (this dream is shared by fellow BRICS nations India and South Africa, which also want to achieve such a permanent status). An interesting aspect of the summit is the likelihood that the BRICS meeting will not address international security issues, such as North Korea, Iran, or the civil war in Syria. As a preamble to the meeting, scholars from member states met at the BRICS Academic Forum and recommended that BRICS heads of states be “more active in the peaceful resolution of conflict, dealing with issues of international terrorism, non-proliferation of weapons of mass destruction, and drug and human trafficking.”  Nevertheless, the group fell short of mentioning specific conflicts, and it is expected that the BRICS presidents will follow suit. Hence, it will be interesting to see what the Brazilian presidential delegation will say at the summit and whether President Rousseff will openly argue for the group to address specific international security issues. Is IBSA Out the Door? It is important to highlight that there is one loose alliance that encompasses three BRICS countries, known as IBSA (India, Brazil, and South Africa), which was created back in 2003 but which has not carried out major joint projects. One of the group’s most interesting initiatives has been joint naval exercises, known as IBSAMAR (India-Brazil-South Africa Maritime), which were most recently held in India in 2012. An analysis by the online African news agency publication DefenceWeb explained that the naval exercises carried on by IBSAMAR III “marked the first time that an Indian naval ship had refueled a Brazilian ship at sea.” The report also quoted Captain BK Munjal, Indian Commander Task Group, who praised the IBSAMAR exercises, “we achieved more than we desired. We look forward…to the next Ibsamar to enhance our maritime connection and our relationship.”  The next naval exercises, IBSAMAR IV, are scheduled to take place in South Africa in 2014. Nevertheless, in spite of disputes during the 2012 chicken wars, New Delhi, Brasilia, and Pretoria continue to have similar goals that bind them together. All three countries are pushing for UNSC reform and for them to be their regions’ respective permanent representatives. The international community will have to wait and see how the IBSA alliance will consolidate in the coming years. For Brazil, elite groupings such as BRICS allow the country to interact with major regional and global powers. In the cases of South Africa and India, the South American giant shares with them the goal of reforming the UNSC and achieving permanent member status in this elite club. These developments do not imply that Brazil has lost interest in Latin America and the Caribbean, especially given that these regions are the source of Brasilia’s growing geopolitical influence. Instead, IBSA and BRICS demonstrate that Brazil wants to take on greater global responsibilities, such as attempting to mediate the Iran nuclear crisis. This week’s BRICS summit in South Africa and the June 2013 IBSA summit in India will serve as a critical tool for Brazilian President Rousseff to continue to promote her country’s global image, which may be the most significant development that will take place at the meetings. 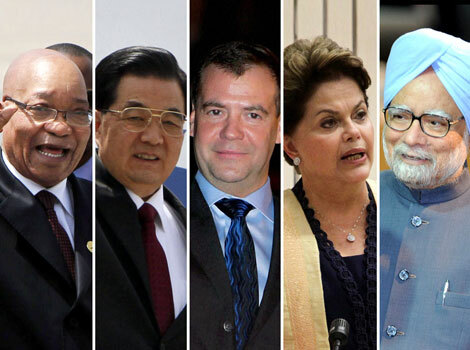 According to the loose association’s website, the goal of the BRICS summit is to “seek common ground on areas of importance for these major economies.” However, given the lack of consensus on sensitive political and security related issues, the BRICS governments should focus on promoting financial integration among its members, making economic issues a priority at this summit. For example, in 2012, BRICS member states discussed a proposal through which each of the five members would contribute approximately $10 billion in seed capital to the bank, which would then borrow from global capital markets by issuing bonds as the World Bank does. If they fail to adequately address this issue at this week’s summit, the bank initiative cannot be considered as a serious proposal. Finally, regarding Brazil’s “going with the flow” attitude on having sanitized and uncontroversial resolutions may be the most obvious sign that Brasilia is behaving like a global power in substance as well as in style. 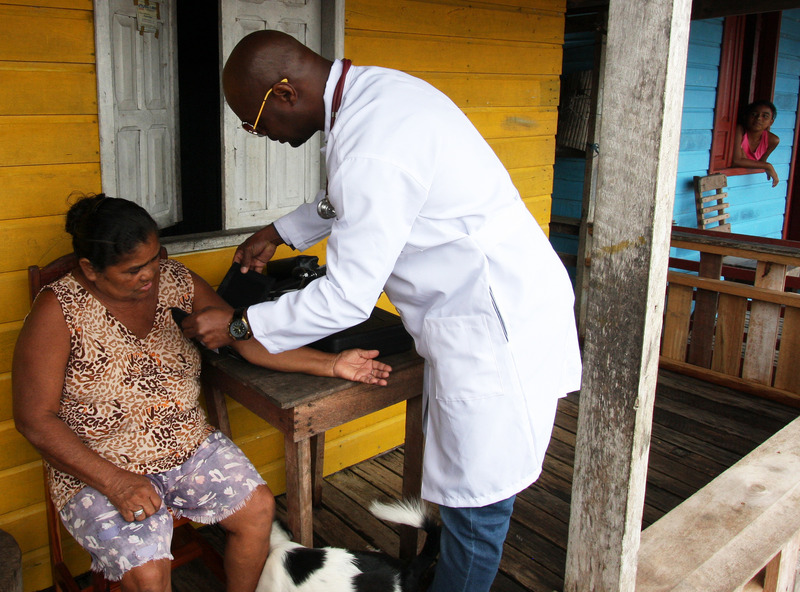 This article was written with the collaboration of Senior Research Fellow W. Alejandro Sánchez and Research Associate Pamela F. Izaguirre. O’Neil, Jim, “Building Better Global Economic BRICs,” Goldman Sachs, Global Economics Paper No. 66, November 30, 2011, http://www.goldmansachs.com/korea/ideas/brics/building-better-pdf.pdf. “BRICS experts back Development Bank,” BRICS Summit website, March 20, 2013, http://www.brics5.co.za/brics-experts-back-development-bank-2/. “Food Security high on BRICS agenda,” BRICS Summit website, March 20, 2013, http://www.brics5.co.za/food-security-high-on-brics-agenda/. “BRICS Academic Forum: Recommendations,” South African Foreign Policy Initiative, Open Society Foundation for South Africa, March 18, 2013, http://www.safpi.org/news/article/2013/brics-academic-forum-recommendations. Wingnin, Dean, “IBSAMAR naval exercise ends on dramatic role,” DefenseWeb, October 29, 2012, http://www.defenceweb.co.za/index.php?option=com_content&view=article&id=28281:ibsamar-naval-exercise-ends-on-dramatic-note&catid=51:Sea&Itemid=106. Stuenkel, Oliver, “Keep BRICS and IBSA Separate,” The Diplomat, August 13, 2012, http://thediplomat.com/the-editor/2012/08/13/keep-the-brics-and-ibsa-seperate/. Isa, Mariam, “BRICS Summit expected to establish Development Bank,” Business Day Live, African Business, March 22, 2013, http://www.bdlive.co.za/africa/africanbusiness/2013/03/22/brics-summit-expected-to-establish-development-bank.